This is the web page for Nelliefield. Below you’ll find news and manager updates, photos, community documents and important property owner information. 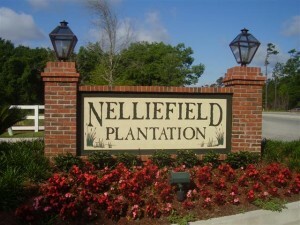 Pool keys – New home buyers were sent one key/access device by the Nelliefield POA. Resale pool keys and cards must convey at Closing. If any card is lost or stolen, a replacement is available for $50.00. Please follow this link to order a replacement amenity key for a lost key. Please note that only 1 key is permitted to be activated per household. Please refrain from trespassing on undeveloped lots throughout the community. 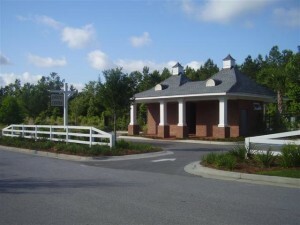 Removing any items (soil, gravel, construction supplies, etc) from these lots is considered stealing by the property owner and violators may be prosecuted. Spring Has Sprung March 08th, 2019: Now that the warmer weather has finally arrived, your Association wanted to send out a few helpful reminders. Remember that the time to have your air conditioners serviced is while it is still a bit cool out. Here is a handy guide from the Department of Energy on maintaining your air conditioner. This winter was exceptionally warm this year, and lawns everywhere ... Read more about this. Weeds – The Constant Battle February 19th, 2019: With our lack of winter in Charleston this year, it has allowed the clover and weeds to spring up a little earlier than usual. This will begin to be noticeable in common areas as well as individually owned property. The landscaping contractors will begin spraying pre and post emergent applications this week in the common ... Read more about this. Nelliefield Amenity Center June 14th, 2018: Nelliefield Residents, Some of you may have noticed there has been some movement in and around our future amenity center. This is because our contractors are progressing to the next phase of the project. Over the next few days/weeks we will have surveyors out learning all they can about the property in preparations for preliminary drawings ... Read more about this. Spring Has Sprung! March 19th, 2018: Spring Has Sprung! Now that the warmer weather has finally arrived, your Association wanted to send out a few helpful reminders. Remember that the time to have your air conditioners serviced is while it is still a bit cool out. Here is a handy guide from the Department of Energy on maintaining your air conditioner. February was exceptionally ... Read more about this. Nelliefield Community Yard Sale 3/24 March 08th, 2018: Nelliefield Community Yard Sale March 24 Owners are welcome to put up a sign in their front yard advertising the yard sale the day before the sale, but please remember the signs must be taken down by the end of the weekend Read more about this. More Helpful Winter Weather Tips! January 05th, 2018: Homeowners, Welcome to Snow Day Part Three! Many of us are not used to this weather. It was brought to my attention that a reminder about protecting yourself against falls on sidewalks, etc would be beneficial. Please review these and be careful under our weather warms up. A high percentage of these occur in parking lots. Obviously, during ... Read more about this. Winter Weather Tips! January 02nd, 2018: Hello owners, The forecast is calling for extreme winter weather in our area. When colder weather approaches, it is very important to take steps to prepare your home. Below are a list of tips which may assist you in preparing for the cold temperatures: Kitchen and bathroom cabinets can keep warm inside air from reaching pipes under sinks ... Read more about this. Special Meeting – Amenity Enhancement! November 30th, 2017: Nelliefield owners, Don’t forget that the special meeting to vote regarding the amenity enhancements will be held at 9am at Philip Simmons Middle School, located at 2065 Seven Sticks Drive. Doors will open at 8:30am. PLEASE don’t forget to complete and submit your proxy – even if you think you will attend. The proxy will help to ... Read more about this. Nelliefield Storm Water Info and Updates September 21st, 2017: Hello Nelliefield owners! Thank you for everything you did to make Nelliefield secure before Irma passed through! Taking proactive measures before the storm helped with the cleanup efforts. The community looks great! Did you know that if you see flooding or have standing water on your property, you can contact Berkeley County to have them inspect the ... Read more about this. Hurricane Irma – Nelliefield September 07th, 2017: Good afternoon owners, With the anticipation of Irma possibly visiting the Lowcountry, the Association wanted to notify the community that preparations are in affect for the common areas. The process for closing the pools and putting the pool furniture away has already been started. Please do not expect the pool facilities to be open over the ... Read more about this. Nelliefield Pool Information March 28th, 2017: The pool is scheduled to open April 15th! Use of amenities are regulated by a card access system on the gate. Magnetic access cards/fobs have been issued to owners with current accounts. If your account is delinquent, you must bring your account current before receiving your access card for privileges to the amenity. If your account ... Read more about this. Warm Weather + Grubs = Moles! January 20th, 2017: Moles are out and about! What does this mean for your community? The following is an excerpt from our in-house horticulturalist, Mike Ferrazzano: Moles are and have been an ongoing problem in landscape. When temperatures drop in the fall, moles are out in full force to find as much food as possible. Now that temperatures have warmed up as ... Read more about this. Nelliefield Letter to the Association January 13th, 2017: Hello Nelliefield owners, Your Board of Directors sent a letter to the community on January 10th, 2017. You can find this letter here. As always, if you have additional questions, concerns, or ever need to reach us, feel free to reach out! The letter contains many different ways to contact the Board, but you can also ... Read more about this.